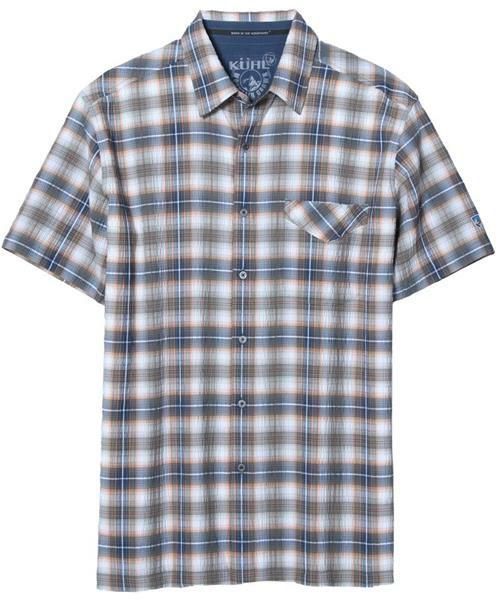 The cotton-poly blend fabric of the KÜHL Stallion(TM) S/S Shirt moves with your body as you wear it, defends its original shape, and allows free movement. The cotton breathes freely and gives a soft hand, the polyester is added for resiliency, and the Elastane helps the garment retain its shape. Metal button front. Single chest pocket. The Stallion will keep you cool as you cross the plains and move on to higher elevations.